A BOOZY Christmas party quickly soured when a woman dressed as a reindeer snapped a work colleague's finger. The trigger of the assault was an apparent insult of her daughter's boyfriend, whose Kiwi nationality was the brunt of several jokes at the party. 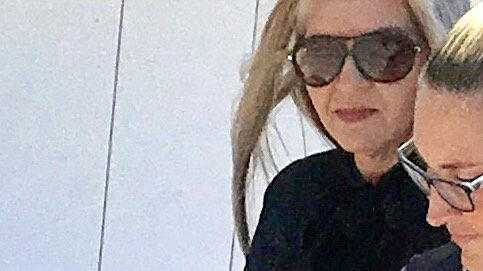 Melissa Jane Hayes, 41, from Chuwar, pleaded guilty in Ipswich Magistrates Court to assault causing bodily harm to the male colleague at Marburg on December 9. Prosecutor Sergeant Paul Caldwell said police were called at 8pm to a Marburg property with a complaint about two females being "out of control and assaulting guests". Hayes was seen to be intoxicated, slurring her words and unsteady on her feet. Party guests told the officers Hayes arrived at 5pm and began drinking but by 8pm was grossly intoxicated, becoming belligerent and being verbally abusive. This caused some guests to leave. Sgt Caldwell said she was told to leave and that people would pay for a taxi but Hayes declined the invitation. There had been an argument and two males tried to calm her down, with another male going to assist them. Hayes grabbed him by one of his fingers and twisted it. The court heard the man sustained a fracture to his right ring finger. Hayes was required to attend Karana Downs police station in April but failed to do so. In June, she told officers that her lawyer advised her not to talk to police or take part in an interview. Defence lawyer Yassar Khan sought a fine with no conviction recorded because of her good record. "She instructs it was a work Christmas party she went to with everyone drinking," he said. "She was employed there 11½ years and had been to many Christmas parties. "Her daughter's boyfriend is from New Zealand and there were some racist remarks. She took offence. "A lot of comments were made about the negativity at work." Mr Khan said guests were in festive costumes and Hayes was wearing a reindeer headband. It was claimed sexual comments were also made and she reacted "grabbing the finger with excessive force". Mr Khan said she had genuine remorse for the victim. Magistrate Donna MacCallum inquired as to whether police sought compensation. Ms MacCallum fined Hayes $650 and ordered she pay $250 compensation. A conviction was not recorded.